You have to reach them before you can teach them. Do you agree or disagree? Do students need to feel emotionally connected to their teacher in order to get the most out of instruction? 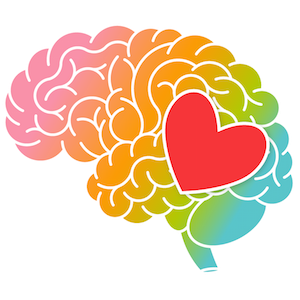 How do emotions impact learning? How much emphasis do you place on your relationship with your students? 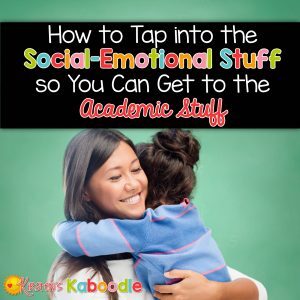 Do social-emotional teaching strategies increase student achievement? Part of implementing SEL involves creating a safe, caring, and nurturing environment for your students. The information presented here focuses specifically on building the student-teacher relationship. 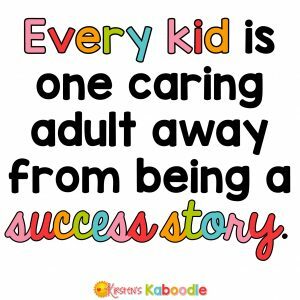 When teachers understand the connection between a caring classroom and student achievement, actively building relationships with students becomes a no-brainer. As teachers, we know that students come into the classroom with a wide range of abilities, learning needs, backgrounds, and experiences. An increasing number of students are walking into classrooms with mental health issues as a result of trauma and adverse childhood experiences. Stressors might include abuse, divorce, the loss of a family member, neglect, alcohol or drug abuse in the home, deployment of a parent, incarceration of a family member, fear of deportation, gun violence in schools, and bullying. Undoubtedly, the list is unending and the stressors mentioned here are just the beginning. As a teacher, you have some power to mitigate the negative impact of stressors on students. Given the number and gravity of stressors that impact students, we cannot expect them to walk into the classroom with 100% of their attention allocated to learning. Imagine, for a moment, that a child’s attention is like a pie. Every student has an entire “attention pie”. Each stressor cuts a slice of pie from their attention. Fresh stressors and heavy stressors cut away huge slices from their pie. Here’s an oversimplified example: Lucy walks into your classroom on Tuesday with 9/10 of her pie allocated to outside stressors. Her dad went to prison last night. That stressor alone eats up 4/5 of her “attention pie”. Her mom cried all the way to school this morning and Lucy’s current concern for her mom eats up another 1/10 of her “attention pie”. That means 90% of her ability to pay attention is gone before she even walks into the classroom. There will, of course, be other stressors that impact Lucy’s ability to pay attention, but for the sake of simplicity, we’ll focus on those stressors. As Lucy’s teacher, you may or may not know what is going on in her life. If Lucy is well-versed in hiding anxiety, you can’t rely on reading cues from her. 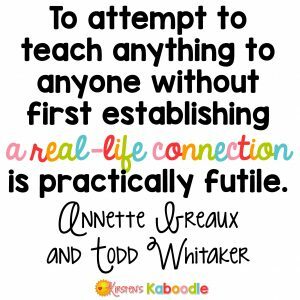 As teachers, we must make active attempts to connect with students. Teachers can help students free up attention for learning by making themselves emotionally available to their students. 9/10 of Lucy’s attention is eaten up as a result of events that occurred in her life over the last 12 hours. If you can help Lucy share her story, the impact of that stress will likely decrease. Instead of eating up 9/10 of her attention, it may only eat up 7/10 of her attention. Just by virtue of connecting with her, she is able to free up attention for learning. Over time, her connection and trust in you will continue to free up more and more attention for learning. As a teacher, you have the power to help each student maximize their slice of pie allocated for learning. Read the suggestions below. 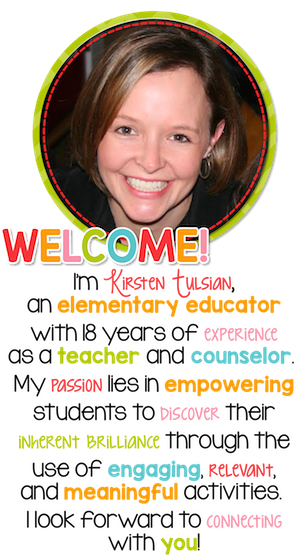 What are some other ways that you connect with students? 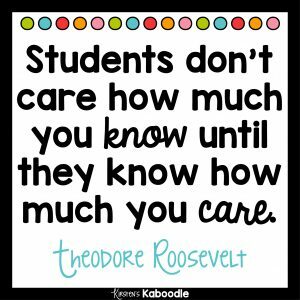 From the moment the bell rings on the first day, let your students know you care. The majority of teachers inherently care about students or they wouldn’t be teachers, right? Expressing yourself to your students can feel vulnerable and scary, especially if it’s not something you do regularly. Tell them how important they are to you. Make it undoubtedly clear that you are on the same team and want what is best for them. Not sure how to express your care for them? You can tell them you missed them over a long break, ask questions related to their interests, share stories about your own life, apologize and own your mistakes, value their opinions and experiences, and make a concerted effort to understand their worldview. Get to know students from day one by asking them to fill out a developmentally appropriate interest inventory (interest inventories are included in these back to school packs). Another easy approach is to ask your students to write down four things they want you to know about them (find a free template in my resource library here). Come back to this more than once during the school year. 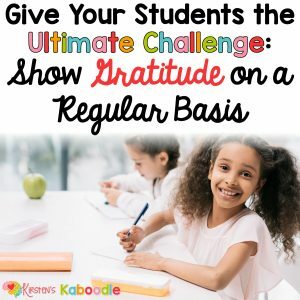 As the days, weeks, and months pass, students will likely feel more comfortable sharing themselves with you. Model compassion. Ask students how you can help when you know they are struggling (academically or otherwise). Sometimes teachers unconsciously show preferences for certain students or groups of students. Stop and reflect on your biases regularly and adjust your approach as needed. Are you more connected to some students than others? Why? What messages do your verbal and nonverbal behaviors send? Compassion should not be selective. Set up a basket or shelf where students can leave notes for you. This is a perfect option for students who feel nervous about talking to you. Regularly encourage and remind students about this option to connect with you. Let students know when it’s okay to come and talk with you (during recess or a certain day(s) before or after school, for example). If they have immediate worries keeping them from working, they can give you a signal that they need to chat. Even if students don’t feel comfortable using this option, just knowing it IS an option will free up some of their “attention pie” for learning. Ask your school administration, counselors, and/or psychologists about the plan for helping students in need. In addition to being a mandatory reporter, your school should have procedures in place for handling students with emotional needs. Asking for support is not a sign of weakness, but instead a sign that you are looking out for the best interest of your students. Be aware of your classroom’s decor and signage. Is your classroom culturally responsive? Are you aware of culturally responsive teaching? Does your classroom environment inadvertently exclude individuals or groups of students? This is an enormously important issue. These posts provide additional information and questions for your reflection: Culturally Responsive Teaching: 4 Misconceptions and 15 Culturally Responsive Teaching Strategies. Pay attention to your response when students make mistakes. Are mistakes encouraged? Do you celebrate mistakes and reinforce the potential for learning when mistakes are made? 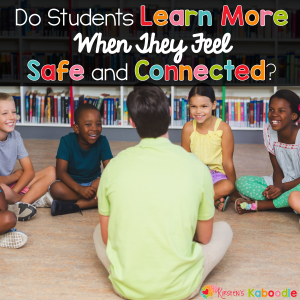 Do your students feel safe to take risks, answer questions, or tackle challenging tasks? How do you respond to failure? Remember that difficult students are difficult for a reason… and it’s NOT because they woke up in the morning and decided they wanted to ruin your day. 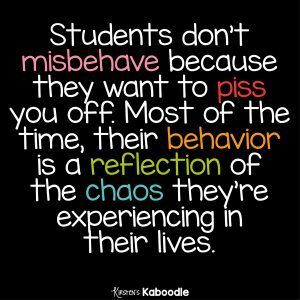 When students make bad choices, it does not make them bad kids. 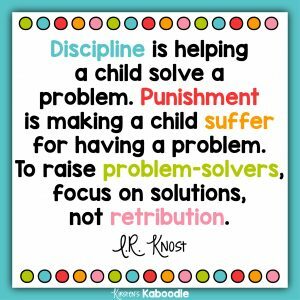 Your approach to discipline can make or break your connection with them. This doesn’t mean that students should be free from consequences. Shaming students or making them suffer for their choices can drive a wedge in your relationship (and can also be emotionally damaging). Instead, attempts to get to the root of the issue (and provide natural consequences) can strengthen your connection with them. If you’re struggling with classroom management, check out this course. It will transform your classroom. When in doubt, filter all your questions and doubts through this lens: What is best for these kids?